The Cook & Beals De-Boxer attaches to Cook & Beals uncapper or it can also stand on its own. Our de-boxer comes with room for one box on each side of the deboxing station. The de-boxer can be fed from either side. The bottom of the incoming box is scraped into a standard wax pan as it is pushed into the de-boxing station. The wax pan is included with the unit. The actual de-boxing operation is done completely hands-free via the double acting, foot operated air cylinder. 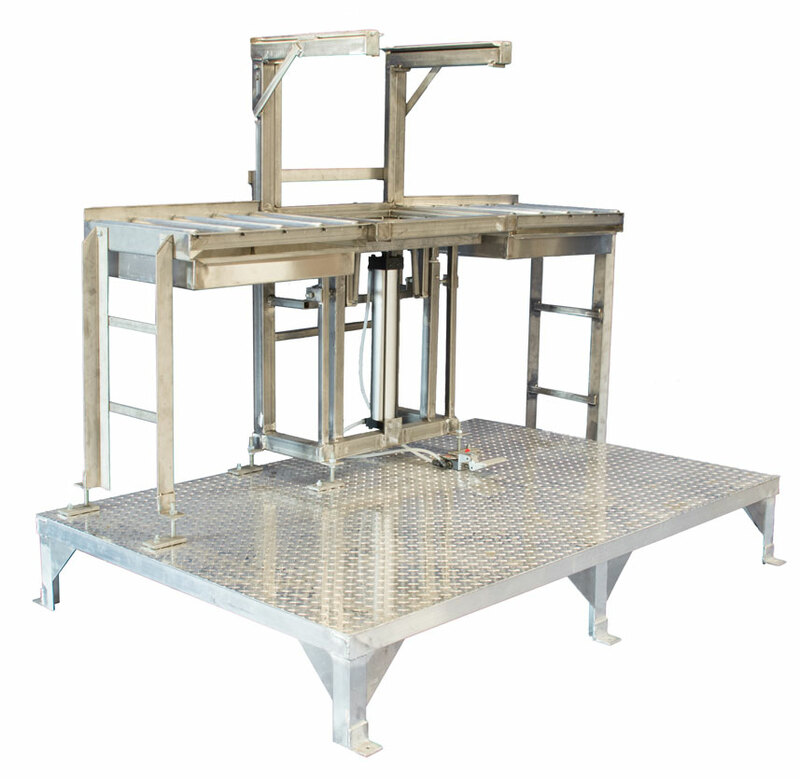 The de-boxer can handle either 9 5/8″ or 6 5/8″ frames.